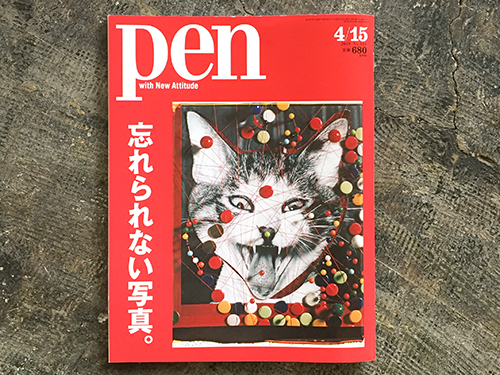 The works of Gozo Yoshimasu appear in the article (P.112~113) on PEN Magazine No.449. Those works will be exhibited at our upcoming exhibition “Gozo Yoshimasu” . If you are interested, please take a look. Besides, We will hold a special event “Perfomance and Talk – Gozo Yoshimasu with Akira Tatehata” on May 5th.